This month our friends at Stone & Wood are pouring an experimental batch of amber ale in their taproom - the Dark ‘N’ Northerly. A few of our spent Husk Rum barrels (used to age Spiced Bam Bam #2) were given a second life at the Byron brewery, and were filled with a specially blended Stone & Wood brew. This beer was brewed as a take of the Stone & Wood team’s favourite cocktail - the Dark ‘N’ Stormy - a classic mix of rum, ginger beer and lime. The Dark ‘N’ Stormy was invented in Burmuda during the 1800’s, which was known as the the shipwreck capital of the world. A gorgeous copper hue sitting under a zesty aroma of lime, ginger and mint. 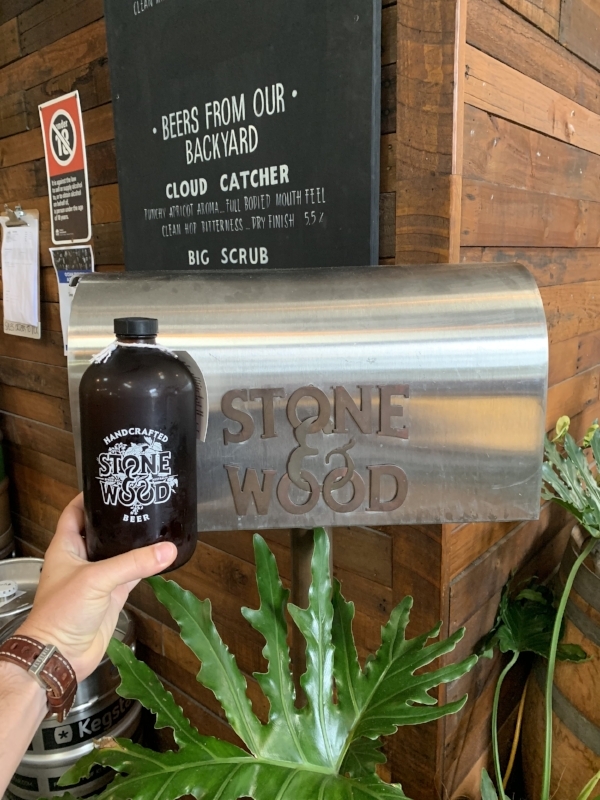 Just like Husk, the Stone & Wood team like to take it slow, so 12 months ago their brewers headed out to the The Farm in Byron Bay and planted some ginger. They harvested the ginger they planted and added it to the brew, along with mint and lime. They then soaked a portion of the batch in Husk Rum barrels, allowing it to draw out flavours of slight oak while enriching the hue and body that the base malts of Carared, Caramunich and Carafa supplied. The result is a bright and full flavoured amber ale, which seriously tastes like a Dark ‘N’ Stormy! Visit the Stone & Wood taphouse to try it for yourself. Mauricio collected some Dark ‘N’ Northerly sharers on Friday and brought them back to the distillery (just in time for knock offs).